Prior motorcycles, scooters and mopeds were rebadged Sachs Hercules for the the British market. The name change was due to the existing British brand of Hercules bicycles. The Prior Viscount scooter was a rebadged Hercules R200 sold in 1958, 1959 and possibly later. 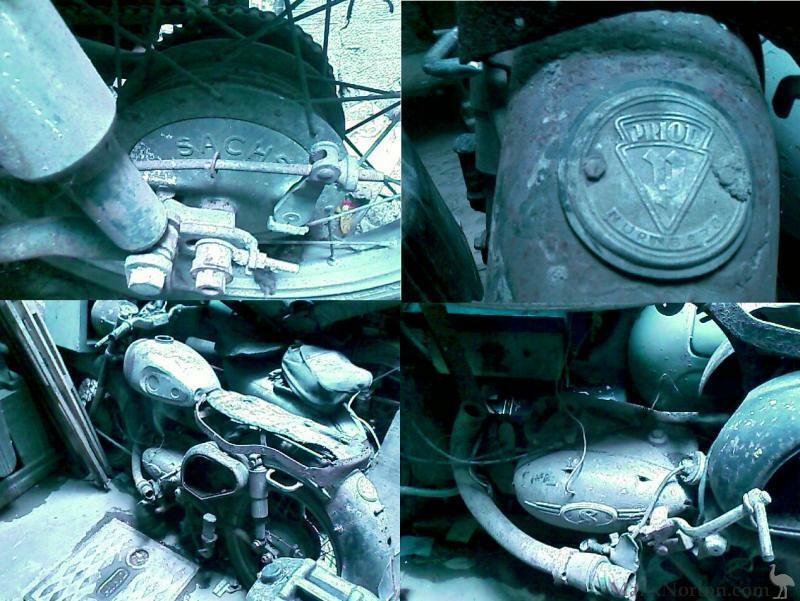 One source says the "Prior Viscount had the Messerschmidt bubble car engine with the reverse-running points taken out." (see below). 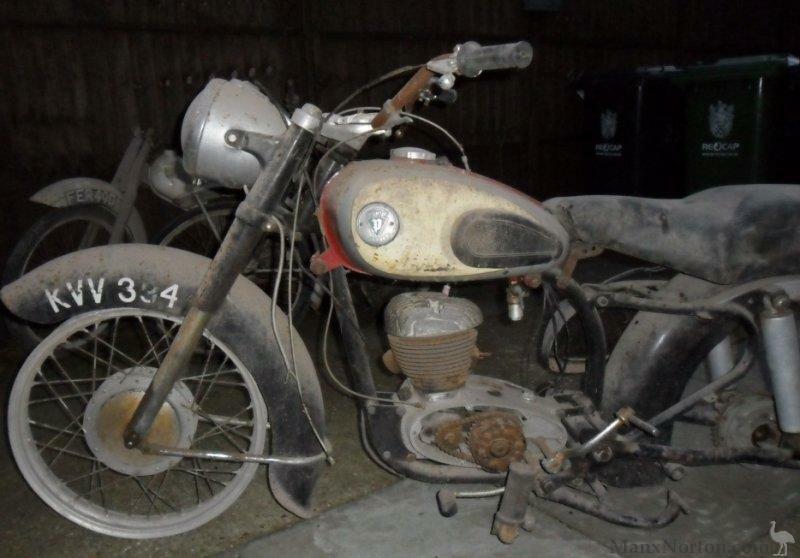 Prior also sold the DKW twin. Estou a restaurar uma Saches Prior (Hércules) 220 K 1961 e pretendo o guarda corrente ou protetor de corrente para este modelo e não consigo encontrar. Tem alguma sugestão? I am restoring a Saches Prior (Hercules) 220 K 1961 and I intend the chain guard or chain protector for this model and I can not find it. Do you have any suggestions? Hi, I have a vintage Sachs Hercules 503 for sale, bought from Switzerland,in good condition, running. Ed: The bike is badged as a Prior, so goodness knows how it found its way to Switzerland. I have just bought this bike and i would love to more about it. Can you help in anyway. The Prior Viscount had the Messerschmidt bubble car engine with the reverse-running points taken out. It seemed very fast after the little Lambretta but was only 10 bhp! I used to ride 30 miles along country roads from my home to help construct the Santa Pod Raceway each weekend (about 1963). The trip took 1.1/2 hours on the Lambretta but only 3/4 hour on the Prior!